Question #16: Please tell me, where is singing out of the Bible in scripture? 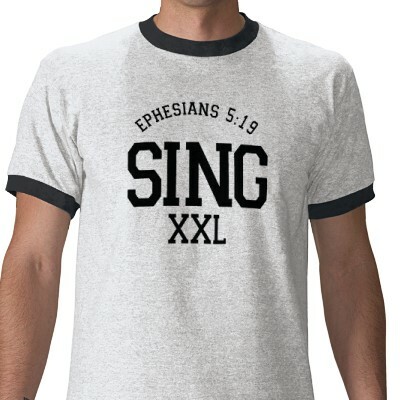 Please tell me, where is singing out of the Bible in scripture? The truth is, nobody ever sung out of the Bible in Bible times! They didn’t have enough Bibles to go around! They sang the Psalms from *memory*. They didn’t have personal Psalm books or hymn books or anything of the kind. They leaned the Psalms from the communal Bible and taught and sang them from memory. They also taught the other songs of the Lord (such as the song of Moses), and were to know them off by heart. This was even a command of the Lord. The Lord never said, “Sing the song of Moses from a prompt”. Rather, the Law states that men must *teach* the song to all the people: “: “teach it the children of Israel: put it in their mouths”. As we all know, after Jesus and his disciples had broken bread, they sang a Psalm, but they did so *from memory*! No mention of a Psalm book is made *at all*! Psalm books and hymn books in comunal worship are the inventions of men. The Lord has given all men a truly remarkable ability to remember words when put to a tune. Unfortunately, very few people in the church seem to want to worship God with it. I hope this post has been challenging, and I pray that we will all learn more of the Lord. John, thank you for the question, we’ll get to it very soon. This entry was posted in Questions and tagged debates, Exclusive Psalmody, questions, singing the Bible. Bookmark the permalink. I have been encouraged by this post. Our forefathers memorized because they needed to – does this not remind us of what we can achieve in our devotion to the Lord if we are determined? I don’t have time to attempt an answer at this. This is one of the many issues I myself have been considering for quite some time (including the whole lifting holy hands thing). One thought that struck me concerning this particular topic though is: Where in Scripture is there everyone in the congregation having a Bible to read out of during sermons and perhaps Scripture readings too? Another thought is that if we cannot use Psalm books, the only way to do it decently and in order would be to line the Psalms, because there are always Christian and non-Christian visitors who may come and not know the particular Psalms that are being sung and because there are always children there (though they wouldn’t be able to read anyway–sounds like Steele’s argument!) who haven’t yet memorized all 150 Psalms. Lining also would seem to be necessary to decency and order because there are also the aged–and even young people–who suffer memory lapses, and because unless people have perfect diction, it is impossible to sing along with the congregation easily (that is, it is easy to get lost, for example, what verse you are at) unless someone has the words given first (I’ve noticed this problem as I’ve listened to congregational Psalm recordings). The thing that’s interesting about this observation is that the Westminster Assembly did not see it necessary to line the Psalms but actually wanted everyone who could read to have their own Psalm book. So that immediately gives me pause when it comes to thinking Psalm books are illegitimate and makes me wonder: Why would they see them as legitimate? But then another thought creepds up, namely, what kind of circumstance is the Psalm book (I have read Giradeau’s Discretionary Power of the Church)? Circumstances must either be implied within the command or must be necessary to decency and order–there doesn’t seem to be a legitimate circumstance under “natural help” as opposed to “religious help” (though a Psalm book is certainly a natural help!). Unless we say that those who worship without all having Psalm books do not worship in decency and order, then Psalm books are not under the second category. Yet I also find it difficult to see them as implied in the command to sing psalms. A final thought on this is that if we had everyone memorize the psalms, they would memorize it to a certain tune. While that isn’t a bad thing in itself, it does make me wonder about the long term consequences about such a thing. The tune being a circumstance, it is important that people do not become attached to them by tradition. If we have one tune and the same tune for a particular Psalm (which is what would happen if everyone memorized them and sang them that way in Church and everywhere they went)….I don’t know; I just don’t want what happened to some of the Scottish Presbyterians (having and only allowing 6-12 tunes for the longest time) to happen again; tunes are circumstantial, and we should be careful not to forget that. If we had Psalm books, we could more easily fit a different tune to a Psalm as we pleased, and we would be reminded that the tune is merely an alterable circumstance–even if we already have the Psalm memorized to a different tune and even if we never wrote a new tune for the Church to sing. I don’t see any problems with using a Psalter, primarily because it is itself a “means of grace”. The Word of God is a means of grace, and so by extension the Psalter itself (a translation of the Psalms) is a means of grace. As we look back through history, the absence of Bibles and Psalters is more a reflection of the technology of the time and sometimes as the result of theological convictions. For example, if printing presses were available in the early church age we could surmise that early Christians would have owned their own Bibles like we do. There is nothing in God’s Word that would seem to imply that we cannot or should not have a copy of the Bible or Psalter in front of us when we worship. Psalm 119:11 “Thy word have I hid in mine heart, that I might not sin against thee” does not imply that our only goal is to have the Word hidden, but in fact it demands that we have a copy of our own somewhere in order to accomplish the hiding itself. Worship is not a memory test. Having as many copies as possible is actually a wise conclusion to be drawn from the Word itself. By having our own copies we can be more precise in what we say, we can more easily guard against error, we can more closely check the words that are spoken for truth, we can more efficiently be trained, we can worship more responsibly, we can more readily blanket our world in the Word, we can more conveniently transport the Word and we can more generously pass the Word along to our children and future generations. It is of interest that sometimes theological convictions have kept the Word of God out of the hands of the people of God. The Roman Catholic Church has in times past forbidden the common man to own copies of the Bible, it has forbidden translation of the Bible into the vulgar tongue and it even has gone so far as to forbid the congregation to sing in worship. This denial of singing was connected to the RCC’s keeping of the Word of God from the people. Many of the liturgies were forms of the Psalms and the people were not trained to sing as they ought. What was the result of keeping the Word of God from the people? The results were disastrous. People were woefully ignorant of the Bible because preaching was in Latin and few could understand. Ministers were corrupt, the church crushed any who dared bring opposition, the church hierarchy grew in power and the people diminished, superstitions increased, idolatry flourished, theology was twisted to meet the needs of sinful church leaders, truth was hidden and the kingdom of Satan grew in power. It seems to me that our goal would be to fill the earth with the Words of God. Having copies of the Psalter to hold in front of us while we sing is a good and wise inference from the Regulative Principle of Worship. If we are required to read the Word and to sing the Word, then it is natural to believe we can possess a copy of the Word in question. Our doctrine of the depravity of man also implies that we would want to guard against the people (and the minister) proceeding in worship simply on the basis of their memory. I think Paul would agree, since it would help the worship service to be done “decently and in order”. Yes, John and Tim, I would agree that we all should be more diligent in our memory work. I am always blessed to hear of our older saints who have memorized the entirety of the Psalter. What an encouragement they are! Anonymous, I think I would say that the Psalter is not a circumstance of worship, but rather an element. Particular things surrounding the Psalter might be circumstantial, i.e. the color of the pages, the size of the font, the number of pages, etc. The Psalms are the Word of God, and so cannot be put into the same category as things that we can do without or things that are left to the opinions of men. Perhaps I have, but I have to say I have found a general antipathy to any notion of change from almost every reformed person I have ever spoken to. The only ones who seem to be open to the idea of change are the so called, “modern Calvinists” but these people also seem to be open to all sorts of non-scriptural teaching. So, it seems there is error on either side (as usual). I don’t have time to respond fully to what you said about lifting hands, but I would say that while B.B. Warfield seems to have understood what the lifting of holy hands symbolises, he has forgotten about the symbol itself! What if we had no baptism, because we treated it only as a symbol? Presbyterians *almost* go this far with their non-scriptural notions of pre-birth baptism, but they stop short. What if we forgot about the symbol of the Lord’s supper? What if we said, “we partake of the Lord’s body and blood by faith. We don’t need the outer signs”? While it is true that *by faith* men partake of the body and blood of Christ, and *by faith* they are born into the people of God and are circumcised with the circumcision of the heart (upon rebirth), still there are also symbols of these things; symbols that the Lord has ordained for us to keep. So it is that we are to eat the bread and wine treating them as emblems, and so it is that we are to be baptised with water after being born into the children of God (as the Israelite children were circumcised just after their birth, to show that they were born of the people of God). These things are only symbolic, but the fact is, *nothing* in this world (except regenerate spirits and minds) can possibly be anything other than a shadow, for this whole world is going to pass away. Therefore, the *whole thing* is only a symbol. The *whole thing* is to point forward. Everything we do in life should be a testimony, a picture, a symbol, of the love between the bridegroom and his bride; all according to the ordinances of God. Whether it be in our praying, or in our singing, or whatever else. Thus it is that when believers lift up holy hands (there being nothing more natural than this) as did the Puritans and the godly men of old, they are testifying to the attitude of the heart of Jesus’ beloved bride! **Everything** we do should be an act of love to God. “*This* is the love of God, that we keep his commandments”. Okay, I take your point! But of course if I am speaking about a godly custom, then it *will* be open abuse! The legalists will always try to add in extra requirements, just as the Pharisees abused the commandments of God’s law. But if we let this deter us then we wouldn’t follow *any* commandment at all! Let me demonstrate by applying your own questioning standard: Scripture says, “preach the word”. I ask, if we were really meant to do this outwardly, then for how long should it be done? In what manner? If, “preaching” is different to simply, “speaking” then precisely what style should the preacher need to preach in, or how loud does the preacher have to be before his words constitute, “preaching”? Of course, you might want to answer some of these questions from scripture, and I don’t have a problem with that, but whatever you answer, it is always the case that one may proceed to ask more questions concerning the matter. Just because you can ask, “Are we always required to hold up our hands when we pray? How often and how high?” doesn’t mean it is wrong to lift up holy hands. Ah, but this *must* be wrong regardless of the truth of the matter. For if it is right that we lift up holy hands in prayer, then it is right for everyone. But if I hold a mistaken interpretation of the many verses which speak of lifting holy hands, then surely that interpretation is wrong for everyone! Well, worship is not a test at all. But it does require memory. Memory is a part of the mind. We are to worship God with all our *minds* as well as our hearts and souls. Besides, I have already commented on the fact that it is universally recognised: God has given men a remarkable ability to remember words when they are put to a tune (preferably not a metered tune). Many teenage girls can recite all the words to every song on every album of their favorite rock band. If they can do this, why can’t Christians just memorise 150 songs? If they get stuck, the rest of the congregation will inevitably keep them on track. Have a look at the following non-metered Psalms. These are sung straight out of the King James Version. I guarantee that if you practice this a few times, you will remember not only every word to these Psalms after a week, but the tunes as well! Have you ever memorised a Psalm and sung it at home or when you are relaxing? I can tell you it is just bliss to close your eyes and sing to the Lord of his own word totally from memory (you won’t need to *struggle* to remember, for if you have memorised it, it will just come naturally). It is so freeing not to have to hold a book in front of you. It is so freeing not having to read and sing at the same time. It is so holy. The “total” out of “total depravity” applies to the *scope* of man’s wickedness. It does not say that man is as wicked as he can be. It says that man is depraved in every way; everything he does is corrupt. The doctrine of total depravity means you will be depraved *whatever* you do, whether it be reading from a Psalter or singing from memory! Besides, how are God’s people to worship God with all their minds if they are not to worship him with their memories? Then you admit they sang from memory in the early church? You admit that Paul and all the congregations of the early church sang from memory? I thought you were saying that because of our total depravity we shouldn’t do this? I thought you were saying that that this would be disorderly? Clearly you are mistaken. The regulative principle of worship says that if the worship of the church as described in scripture was good and wholesome *then* (as opposed to disorderly), it means it is good and wholesome *now*! 1) It is on a is largely on account of not *needing* to memorise the Psalms to worship the Lord, that so many people *haven’t* memorised the Psalms. I’m no saint here. I haven’t memorised them all either. But it was after the people I meet with decided to get rid of the Psalter that I was forced to start memorising them and I have benefitted no end from getting rid of that Psalter. 2) When you are reading the words of the Psalter as you sing, it is an unnatural form of singing. Have you ever noticed that when you read aloud in public, often you don’t actually follow what it is you are reading? You are trying so hard to ensure that you are reading it correctly and saying the right words in the right tone of voice, that you actually miss the message? It can be the same with Psalters to a lesser degree. 3) When you are singing from a Psalter, you are always looking down. You cannot *see* the people of God worshiping as they did in the early church because you are looking at a book. To a certain degree, I have found that this actually hinders people from fully appreciating the total unity of the church in worship of the Lord. Also, some people who are timid, like to *hide* behind their Psalter. They don’t like to look around or have people looking at them. They are embarrassed about the fact that they are singing in, “worship” to God! I’d be glad to give you a few, but I can’t possibly go through *why* I believe all these; it would simply take too long. Also, please, I’ve heard that I’m a legalist from enough people already, I don’t need to hear it again. I know what I believe and why I believe it. Calvinists tend to be very good at telling others that they are sinning, and get quite annoyed when when they are accused of legalism, but when they are told about their own sins, they tend to instantly start accusing others of legalism. How alike we all are to the people we would hate to be! How sinful we are for our attitude, which is in effect the same as the one the man had who said, “God, I thank thee, that I am not as other men are, extortioners, unjust, adulterers, or even as this publican”! Please bear this in mind as I take you through these. Also bear in mind that nothing I am about to tell you has been made up or invented. I am simply sticking very closely to scripture. All of these doctrines have been held to by various Christian groups history, and it is overwhelmingly the *modern* church which has departed from them. • Firstly, I’d just like to mention something that was said by Anonymous: “Where in Scripture is there everyone in the congregation having a Bible to read out of during sermons and perhaps Scripture readings too?” Spot on Anonymous, whoever you are! • In the early church there were services that were open to all the men to speak. In this way the Holy Spirit would lead. So, if someone has a word of ministry, it should be given, whoever it is. It doesn’t have to be a set preacher. (the women, of course, are not permitted to speak). If someone has a psalm, it should be given, whoever it is. It is scriptural, of course, to have a preacher and elders, and not many should be teachers. But nevertheless, if the Lord lays a word on a brother’s heart, he should be allowed to speak it openly and freely, or if the Lord gives him a psalm, he should be allowed to recommend it. In the early church, there were of course set times for set sermons. But there were other services when questions could be asked; when prayers could be prayed and when *ministry* could be given by those whom the Lord gave it to. In my experience, Presbyterians seem to put too much emphasis on the pastor. What about the words, *every one* in, “How is it then, brethren? when ye come together, *every one* of you hath a psalm, hath a doctrine, hath a tongue, hath a revelation, hath an interpretation. Let all things be done unto edifying.”? BTW, the Plymouth Brethren have services for this very thing, and they *still* have set preachers and set sermons in *other* services, and it all works very well. So relient on the preacher are some presbyterians, that at the worst of times, I have even known the whole church service to be called off just because the preacher couldn’t make it! Can you believe that? They would cease to come together to worship God (to gather together, *not* to the preacher, but rather, “to the name of the Lord”) all because one man could not be there! Churches that do this may as well have their own popes, for that is practically what they seem to have anyway. • Services should *never* be called off because “not enough people” could be there. Wherever two or three are gathered in his name, he is there in the midst. • The Lord’s supper should be practised every first day of every week, as was the practice in the early church, for we read that they went to their houses and met together to break bread. • The building for meeting should not be called a fancy name, lest the emphasis be put on the building not the thing that happens there. I have noticed the particular perniciousness of this tradition (of men), and how people still deny that it has any negative effect of “their” church! Yet it leaves churches in a sorry state. The church is the *called out assembly*, not the building! And yet, when there are names (as opposed to descriptions) attached to a building, such as, “Bethel Chapel” or “Trinity Church” the whole congregation become subtly trapped (such that they don’t even realise it!) into the mindset of, “the church is the building”. Scripture speaks of the called out assembly, saying, “the church, which *is* the house of God”. The building isn’t the house of God! Its the church! In the early days, if they met in a person’s house, they would just call it “a house”. If they met in an upper room, they would just call it “an upper room”. Why? Because that is *all* it was! • Women often wear head coverings in church, but this is not what scripture says! Scripture says, “when they pray or prophesy”. We know, of course, that Paul wasn’t speaking about the church service when he said that women should wear head coverings when they pray or prophesy, for only a little later in the same letter he forbade women from prophesying in church (or speaking) at all! Therefore, he must have meant *whenever* they pray or prophesy. • In the church I attend, thankfully people regard contraception as a sin, but in many churches they do not see how this practise totally distorts the picture between Christ and his bride. • The communion supper should be practised with *unleavened* bread, since Jesus said, “Do *this* in remembrance of me”. Jesus *was* the unleavened bread and he *was* the fulfilment of all the Old Testament words concerning the unleavened bread, and the bread he broke with his disciples, saying, “do *this*” was the passover meal, which is made of unleavened bread. Leaven is *always* a picture of sin in scripture, and it totally deprives the symbolism of the supper if leavened bread is used. • Women in *many* presbyterian churches show off their legs, and their upper chests! Sometimes, I have even seen them show the crack of their breasts! Clearly these women are not true Christians, for if they were they would not think it acceptable to show their nakedness as the world does. Nevertheless, they do it and their husbands/fathers allow it. It is utterly shameful of all parties concerned. If these women were to go back to John Knox’s day, them and their husbands wouldn’t even be allowed inside the building due to their total disrespect for the Lord. About a hundred years ago, it was considered quite inappropriate for women to show their ankles, and rightly so, for the ankles need not be on display. I said this to a young Baptist woman once, and she replied by asking whether I thought Christian women should dress like Muslims! I should have replied, “No! Christian women should dress like Christians!” That is, modestly and with shamefacedness. If you wouldn’t have a preacher in the pulpit in shorts, then why would you have a woman in the pews in a dress that does not cover her lower legs? • The King James Version has mistakes in it! It is a very good translation, but it is not perfect. A brother and I have done some detailed study of several passages and have found that the Geneva version was actually more litteral in several places, and the King James more litteral in others. • Chapter and verse numbers are not in the Bible. We are meant to “search” the scriptures, not “look them up”! Perhaps then our scripture knowledge would be better! • ‘Local church membership’ is not a scriptural doctrine. It is sectarian and explicitly commanded against in scripture. *All* who are believed to be true and upstanding should be allowed to partake of the communion supper. There is no such thing as ‘local church membership’ in scripture. There is only membership of the body of Christ. Denominational communion is a sin. If you discern the body of Christ, the church (that is, if you are a true believer) then *nobody* has the right to bar you from the Lord’s table! • Teaching should be consecutive at times, as Jesus taught in the Synagogues in this manner. However, in *other* services, it should be free, as Peter’s sermon was, or many of Paul’s sermons were, so that the preacher is not going through, “chapter by chapter”. • Preaching should be extemporary (that is, without notes) as was *all* the preaching in the New Testament. The Gospel Standard Strict and Particular Baptists of England practise this, and I can say that theirs are some of the most powerful sermons you are ever likely to come across. Unfortunately, they don’t believe in recording them or putting them online, “lest they get into the wrong hands”. Yes, unfortunately they happen to be hyper-Calvinists. Nevertheless, their sermons are perhaps the best sermons I have ever heard and the Holy Spirit is more free to move when sermon notes are put aside. • It is essentially effeminate for men to cut their beards. I don’t make *anything* of Old Testament law concerning this. It has *certainly* passed away, and no commandments concerning the trimming of the edges of the beard apply any more. However, I believe that scripture clearly presents it as shameful for a man to have no beard (such as when the Israelites did not want to return to their homes after their beards cut off, or when Jesus’ beard was plucked out before crucifixion to put him to shame). It is just a fact of nature: Men without beards look very feminin. • Women should not cut the hair *at all*, yet many presbyterian women cut it. The scriptures clearly present the shearing of the hair as shameful. It is forbidden for a woman’s hair to be short of its natural length. Though many churches have held this doctrine throughout history, today it is only held by a few independent Baptists and some Pentecostals. Surely we are living in dark days. • Faithful Christians do not indulge in luxuries or in anything that is not helpful to the Christian life. For example, their children are allowed to waste their time playing with “toys” but should learn about the *real* world. There are no toys in scripture. No true Christian has many possessions. He has sold his possessions and given alms, as Jesus said, “sell that ye have, and give alms”. All who have not done this are rich, and as Jesus said, “woe unto you”. There are Guatemalan children rummaging around in garbage dumps right now, cutting their little fingers on sharp objects. Fake Christians will spend a huge amount extra to purchase an Audi, or a fast car of some kind, rather than purchasing a cheaper car that would be find for their needs. By doing this, they are neglecting the poor man on the doorstep. Today more than ever before the world’s poor are on the doorsteps of the West. All that extra money could be spent on sending missionaries to feed these children, or to build orphanages for them. But many so called, “Christians” have bought jewelry and all sorts of mod-cons, like iPhones. Why? All to gratify the flesh. That is the *real* reason. “woe unto you that are rich! for ye have received your consolation” meaning simply, if you’re rich, you won’t get any consolation in heaven. • The open collection box in a church building is an abomination to the Lord, as are all forms of religious begging. “And they went forth, taking nothing of the heathen”. Church members should share what they have with their brethren, as did the early church. There are people in England called the “Jesus Army” who do this very thing, and it works very well, except that the Jesus Army folk go too far with it. Christians in New Testament times still owned their own houses, and this should be permitted, although they should share them with the brethren whom they love. “And the multitude of them that believed were of one heart and of one soul: neither said any of them that ought of the things which he possessed was his own; but they had all things common”. • The words, “fat” and, “glutton” are pretty much synonymous in scripture, and all fat people should be delivered unto Satan for the destruction of the flesh. Jesus himself prophesied about the last of the last days, in which there will be fat people in practically every church and congregation. He said that in the last of the last days men would be companions of gluttons and drunkards. No chocolate or potato chips or anything unhelpful should be eaten. Only those things that are healthy for the body, which is the temple of the Holy Spirit! • Men should say “Amen” when they agree to something in the prayer, as was scriptural practise. • Chit-chat is a vile form of speech. All speech should be about godly matters and concern things that are helpful. • Almost all jokes and jests are foolish and need to be put away as foolish jesting. Christians should jest only about those things they are commanded to jest about in scripture. • Those men who think it is acceptable to go to the theatre to see ungodly movies, or to watch some kind of filth, should be excommunicated, as was scriptural practise with those approving of filthiness. I could go on and on…birthdays were only ever celebrated by *evil* kings of the Old Testament, and are sinful, as is X-mas and easter, which are pagan practices. All, “articles of faith” books are totally unscriptural. etc, etc… Basically, if you can’t find the equivalent in scripture, it is because the Lord doesn’t want you doing it. Sound systems, believe it or not, *are* in scripture! I can’t remember which prophet, but somewhere it is written that they made a tall pulpit out of wood so that the prophet’s voice could be heard. There are of course, non-practical issues that I think the Presbyterians have got wrong. For example, Paul didn’t write the book of Hebrews, and the scripture says so; there was no “covenant of works” with Adam (Herman Hoeksema had some good things to say about this). For all those dispensational Presbyterians out there, scripture makes it plain that there is only one people of God in eternity, and there is no such thing as a pre-tribulation rapture! For all those covenant theologians out there, scripture makes it plain that God will stip away the gentiles and graft back in the Jews at a future time (before the Lord returns). It also says God’s people will reign with him for a thousand years. But I could go on and on for hours with all the disagreements I have with the Presbyterians. Ultimately, whether people are Presbyterian or Baptist, or anything else for that matter, my main problem is that they are stuck in their time bubble, products of their generation. They don’t realise that they are not actually *considering* the issues at hand when they think about them. They wonder about alternatives only as a fancy: They always seem to find their way back to agreeing with what everybody else in their church says on a particular matter. They don’t seem to realise that people thought totally differently in ages past, and that the odd ones out our this generation were actually in the majority a few generations back. Though they deny it, there is an implicit assumption on their part that our generation of Christians is superior than the last. For example, I have heard many critics of the reformation say that Calvin was a murderer for having Servetus burnt at a stake. Loyal Calvinists of today’s generation reply that it was actually the city council that had Servetus executed for Calvin didn’t posses the power to have *anybody* executed. They also point out that Calvin actually pleaded with the city council to reduce the penalty from burning at the stake to hanging. But I have yet to hear anybody of our generation say, “Actually, Calvin was right. That wicked man *should* have been executed!” Well, I say it. He was not only a trinity denier, but he was intent on leading people away from the truth and poisoning their minds with his filthy blasphemy; and he was intent on slandering anybody who disagreed with him. He *should* have been executed. The rulers have been charged by God himself to be a minister of his vengeance upon the wicked. This is merely an *example* of what I am talking about. You will no doubt say, “Ah, but that can’t be right!” And people of Calvin’s generation would say the opposite, for back then, (almost) *all* accepted the principle of the death penalty for grievous blasphemy and slander, as a *scriptural* principle. Can’t you see what is happening here? Its the same reason Baptists stay Baptists, and why Presbyterians stay Presbyterians. Its evil. And every last person who fails to consider this solemn fact is truly blind. To God alone be the glory. Amen. I believe I have already addressed the use of Psalters above, but just to clarify. God gave us the Psalms to sing, I fail to see any sinfulness or negative inference at all in the fact that we have them written down in front of us while we sing. This seems like a non-issue to me. If you feel that we are violating the RPW by having the Psalms written down for use in worship…again, I am not really processing that objection. This seems like a personal preference to me, not something that we would insist upon for all of God’s people. Our children are learning the Psalms, it is unlikely that they will know every Psalm we sing by memory. Also, I am sure there will always be church members in our midst who have less capacity of memorization. It seems to me that the denial of written Psalmody is an undue burden placed upon the Church. We might just as well say that Bibles are forbidden in church for the same reasons. Why? We lawfully own multiple copies of both the Bible and the Psalter, I fail to see why we cannot use them in worship. The Bible is allowed in worship. The Psalms are allowed in worship. It is not demonstrated to me that I cannot have my congregation use both as freely as possible. If a particular person does not wish to use a Psalter, then that person should not use a Psalter. I applaud your memory skills and your diligence. I do not see this as a measuring rod for all believers in worship. Point (1) is a preference, not a command. See comments above. Taking the Psalter away to encourage memorization can lead to many more problems that it may seem to solve. Point (2) is again a preference, I would say that reading while we sing is the way it was intended to be done. God gave us His Word in written form. This the way it was intended to be used. It was not given orally to be passed down from generation to generation. Having the Word of God preserved in written form prevents errors, it encourages doctrinal purity and even promotes memorization. Point (3) is again a preference. I would agree that we get lazy and neglect our memorization, but taking a lawful copy of the Psalter away is not the answer. People who are embarrassed to sing the Psalms have more problems to deal with than we can address here. I don’t really understand why we would let people who have a dysfunctional use of the Psalter be the reason behind our removal of it from worship. If there are members who are using the Psalter improperly, lets instruct them how to use it as it was intended to be used. Please accept my most sincere apologies for just now getting back to your post. My life has been insane lately with traveling and moving. I am glad to have the opportunity now to sit and reflect on your earlier comments. You have given us a lot to think about, but just to sum up it seems to me that you are letting these other issues distract you from the principle of the RPW (the regulative principle of worship). While these issues may or may not be important to some people, it would be hard for me to imagine that I could find others of like mind to worship with on every single point. If we are compelled to be with out brethren who worship rightly we might have to be patient on some of these other issues, i.e., the practice of the Lord’s Supper, headcoverings, women’s clothing, etc. I would encourage you to invest in your study of the essentials of the faith and to seek out a worship service with brethren who desire to honor God in their worship. It might be that you could benefit from their fellowship and the iron that sharpens iron. I am certainly agreeing with you that we who are Reformed are not always consistent in our teachings, but we are trying to hold to our confessions as best we can. I would like to address these issues you raise individually, though I think it would be most helpful if we related each to worship in some way. Since our intent here is to discuss worship that would certainly be helpful to us all. Thank you for your comments. Your question about the use of Psalters has really made me think through our practice of using them in worship. I have gotten a few headaches over that one, though I have not been able to come to a position for taking them out of worship. Great question for thought and reflection.